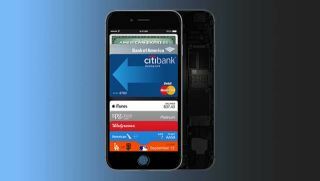 Apple Pay: what are the implications for the mobile payment industry? Can Apple pull off a real money spinner? Last month's launch of the iPhone 6 and unveiling of the Apple Watch complete with mobile wallet capabilities certainly gave the mobile payments industry a boost, there's no doubting that. But a boost in what direction, and what are the implications? At long last we have near field communication (NFC) built into Apple's hardware – an addition long speculated about. For years there have been two camps regarding NFC, one predicting its demise and the other its rise as a key technology in mobile payments. Thanks to the recent wave of industry support for host card emulation (HCE), and now with Apple adding NFC, this settles the debate rather convincingly. That's not to say that NFC will dominate everything, but it certainly goes a long way in addressing the chicken and egg problem, and means that industry players will have a lot more reason to support NFC payments. Together with TouchID and the Secure Element, not to mention the integration with Apple Watch, the complementing technologies look quite promising and quite exciting. What is far more significant is the effort Apple has expended in partnering with key industry players to pave a pathway toward success. The approach of making the value of the wallet greater to both participants and consumers paves the way to ensure wide acceptance, greater relevance and thus broad adoption of their wallet. This is where other players have failed, despite the inclusion of compelling technology. Apple's list of key banks, card associations and especially retailers is impressive. Not everyone can pull off such a level of agreements – although to be fair Apple is perhaps one of the few companies which can. But was it simply up to good negotiating skills? Did Tim Cook strike a deal with everyone as he did with U2? No. Apple's trump card was the decision to let the banks and the merchants own the big data. This is truly significant, since in one fell swoop they took a massive stab at some of their biggest competition, and at the same time opened the door to everyone else. Apple didn't even talk about loyalty, rewards, coupons and the like. They didn't need to. These will come to them from willing participants who need not feel threatened. We have to take our hats off to Apple, much criticised in the past regarding its cautious approach to mobile payments, as the firm may actually have been wiser (and perhaps somewhat luckier) than we thought – it's clear they've learned from the mistakes of others and have been able to take a more robust approach. John Gessau is mobile payments solutions lead at ACI Worldwide.